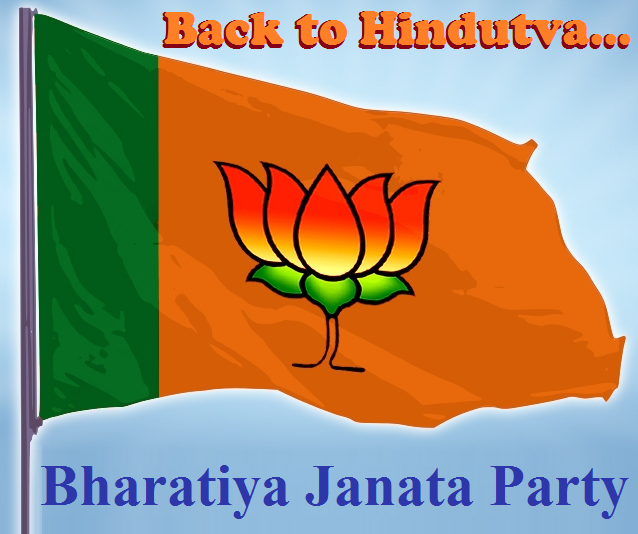 ‘Back to Hindutva’ will be the deft strategy of BJP to run-up the 2019 Lok Sabha election. BJP will have to play its Hindutva card very deftly in the run-up to 2019 Lok Sabha polls. Uday Mahurkar | Daily O | New Delhi | Aug 28, 2018:: There are all the signs that the BJP has decided upon a ‘mixed bag’ strategy for the 2019 Lok Sabha polls — based on the development work carried out by the party through various schemes and the ‘Hindutva’ card, which, of course, has not been spelt out. However, party leaders have been clearly told not to cross the Rubicon. 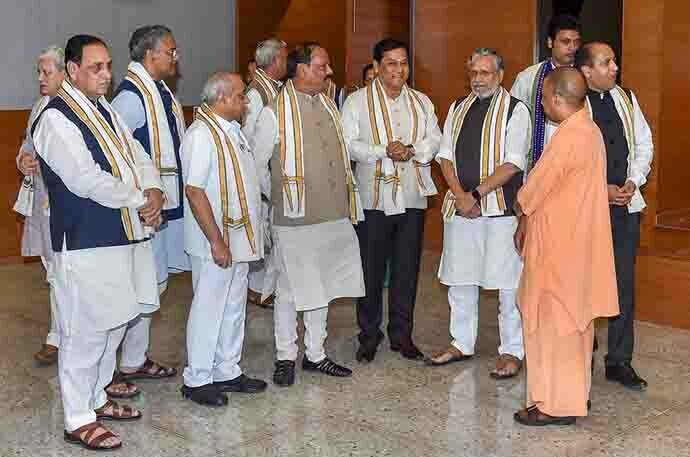 These indications came from sources close to chief ministers of BJP-ruled states who attended the periodic coordination committee meeting on Tuesday, August 28. The meeting of BJP chief ministers and deputy chief ministers was held under the leadership of party president Amit Shah and Prime Minister Narendra Modi at the national BJP headquarters. The Assam NRC and ‘cow slaughter’ are two main issues that could help whip up Hindutva passions. In the light of these developments, one might see strong to incremental action against the suspected illegal Rohingiyas and Bangladeshis by state BJP governments across the country. For example, a group of around 700 suspected Rohingya immigrants reportedly living in Aligarh since 2012, are also rumoured to be running a madarasa. According to their leader, the Deoband Madrasa directed them to settle down in Aligarh when they first came from the Rakhine province in Myanmar to Kolkata in 2012, and then landed up in Deoband in Saharanpur district of Uttar Pradesh. This can become a local poll issue. Suspected Bangladeshis present in significant numbers in all central and northern states present themselves as ideal election issue for the BJP. 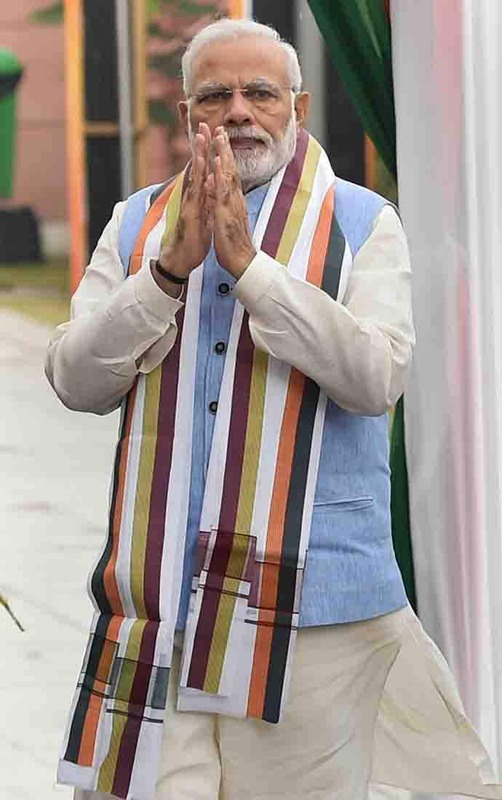 Despite his development plank, Modi has invariably played the Hindutva card in most elections in the past. For example, in the 2005 Gujarat civic elections, when Congress leader Aneesa Mirza was the Ahmedabad mayor, Modi said: “The time has come to end the raj of Begum-Badshah in Ahmedabad.” And it worked. However, the leaders have also been told not to cross the line because the top leadership feels that going overboard with Hindutva may prove counter-productive, as people would think that the party was whipping up Hindutva sentiments because of its failures on governance front. The Congress also will take the same line. Many BJP leaders like Giriraj Singh, Sakshi Maharaj and others have been seen crossing the limit in their anti-Muslim appeasement rants. In West Bengal, for example, Hindutva groups were seen taking out Ram Navami yatras from “prohibited” Muslim-dominated areas, causing widespread panic. So, the Hindutva card will have to be played by the BJP — but deftly. The party has been in power at the Centre for four years now and any attempt to overplay the Hindutva agenda could backfire as it will be taken as a sign of the party’s failure in governance. 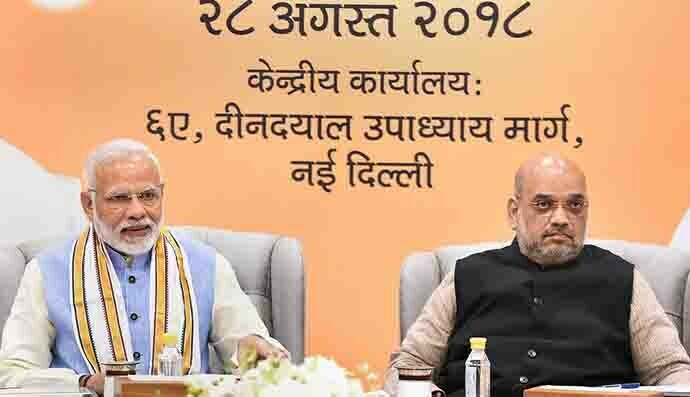 A win-win situation for BJP, however, would be favourable verdicts from the Supreme Court on the issues of Article 35A , which would counteract Article 370, and the Babri Masjid-Ram Mandir dispute — two scenarios that would revive the Hindutva wave, with the BJP not having to do anything. Important Note: Views expressed are of the author and do not necessarily reflect the views of the Hindu Existence Website or of its editor Upananda Brahmachari.. This entry was posted on August 29, 2018 by hinduexistence in Assam NRC, Ban Cow Slaughter, Ban Cow Slaughter in Bharat, Hindu Advocacy, Hindu Agenda, Hindu Politics, Hindu Vote Bank and tagged Assam NRC, Ban Cow Slaughter, BJP, Hindutrva Politics of BJP, Hindutva Card, Lok Sabha Election 2019, PM Modi, Poll plank.